After a serious motorcycle accident injury, the attorneys at McMenamin & McMenamin, PS understand the uncertainty, frustration, and helplessness you must feel. When someone else’s careless actions turn your life around, you have every right to be upset. We know that facing the high cost of medical bills and expenses related to your injury are daunting. Our motorcycle accident injury attorneys will guide you through the process of seeking compensation for your injuries or losses with open, straightforward discussion. Unlike many other firms, our lawyers are solely focused on personal injury law. With over 80 years of combined success, we have the resources to give you the attention to detail that your unique case deserves. If you’ve suffered an injury or lost a loved one in a motorcycle accident in Washington, don’t suffer as the costs stack up. The attorneys at McMenamin & McMenamin, PS will fight to get you the compensation you deserve. You might be tempted to avoid litigation by settling your claim with the insurance company on your own. This may seem like a simple and easy solution, but it is one that could be extremely harmful to your financial future. Insurance companies are concerned with their best interests—not yours. They try to reduce their liability to cover the expenses resulting from your motorcycle accident. You deserve better. The attorneys at McMenamin & McMenamin, PS will stand up for you and fight to get you the best result possible. At McMenamin & McMenamin, PS, our attorneys firmly believe that you should focus on one thing: healing. We take the time to thoroughly analyze every detail of your case and guide you through the process so you can rest easy knowing that your family is in the experienced hands of our family. Our attorneys understand that making it over to one of our offices can be difficult when you’ve sustained severe injuries. That’s why we make ourselves available to you with hospital, home, and evening visits by appointment. 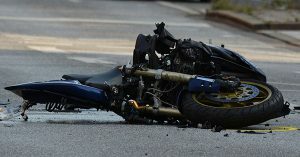 After you are injured in a motorcycle accident in Washington, there are several key things you should and shouldn’t do. Seek medical treatment for you injuries immediately and tell the medical professional everything. Note the time of the accident if you’re able. Contact police and emergency personnel. If there are witnesses, get their contact information. to document your injuries as they progress and heal. Contact a motorcycle accident injury attorney. Give any statements to anyone other than the police before speaking with a lawyer. Sign any releases of liability or potential claims before speaking with a lawyer. Compensation is largely dependent upon the details of your individual case. That’s why it’s important to seek the help of an experienced personal injury or wrongful death attorney who knows how to secure the best outcome for you. Your Job is to Get Better. Our Job is Everything Else. At McMenamin & McMenamin, PS, we’ll do whatever it takes to make sure you’re satisfied with your experience with us. Dealing with severe injuries is stressful. Working with a lawyer shouldn’t be. When you work with our motorcycle accident attorneys, you’ll have peace of mind knowing that our family is committed to protecting your family. Contact us today at one of our offices in the northwest Washington area: Port Angeles, Port Townsend, or Sequim. You risk nothing by requesting a free consultation—you pay nothing until we collect compensation for you.